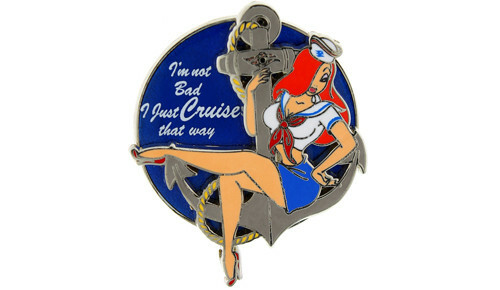 The good people over at WDW News Today were on hand at a Pin Trading night and spotted a few new Jessica Rabbit pins soon to be released. This pin is for the Disney Cruise Line, featuring a sailor-clad Jessica sitting on an anchor. The bottom layer of the pin next to her reads, "I'm not bad. I just CRUISE that way." 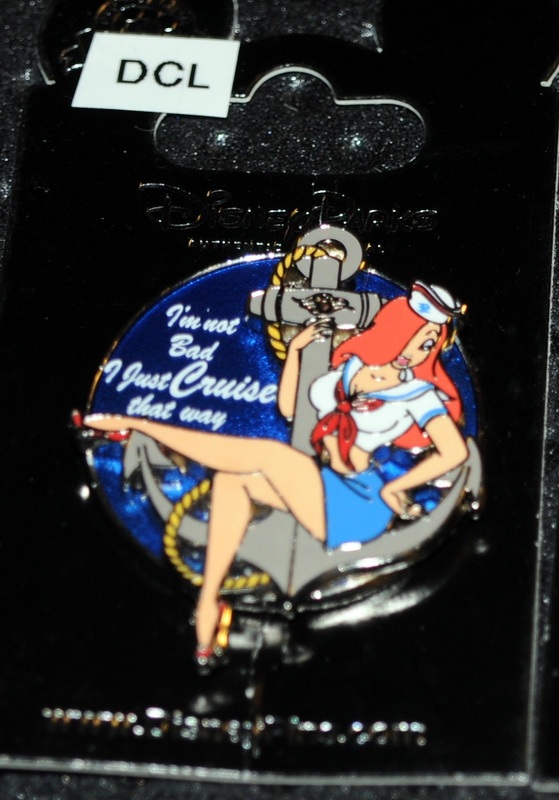 The pin is schedule to be released on Disney Cruise ships in February. UPDATE: The pin is scheduled for release on February 20th and will sell for $9.95.